We were engaged to design and renovate the 365m2 “PLAY” club, adjacent to the “REWIND” bar, within a two week period. The work involved re-planning the layout to give a better flow, and developing a new image identity for the club. 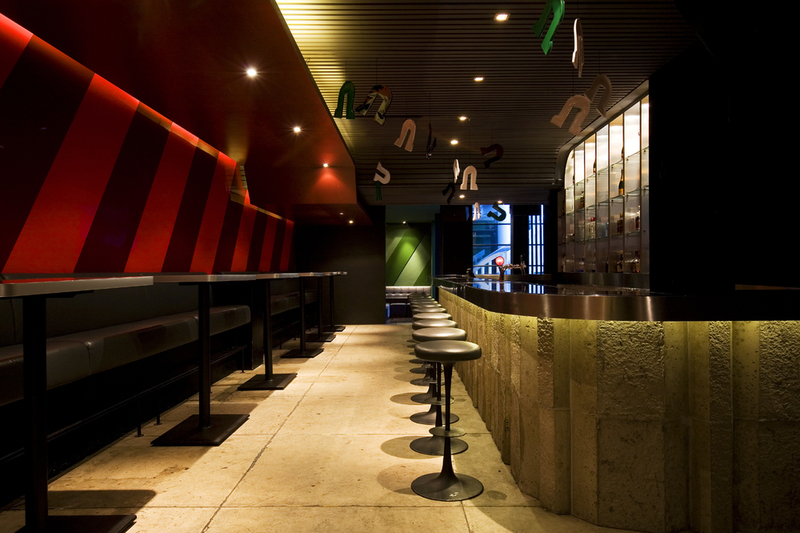 The main bar front was re-clad with pre-cast concrete drainage channels and a black glass top. The walls were clad with coloured laminate strips, new built-in furniture added and a DJ booth installed.